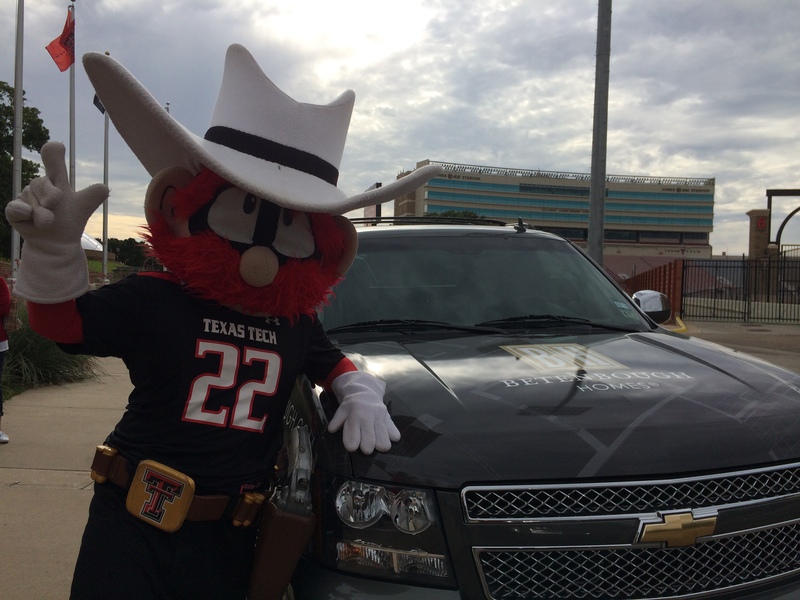 We’re honored to sponsor Texas Tech’s Dream Kids at each home football game this season. During each game we celebrate one child who has benefited from services provided by the Ronald McDonald House. Each child and their family receives tickets to a game, on-field recognition, and an up-close look at all the game day action. Earlier this summer, we had the privilege of surprising six families with the news that their child was selected as a Texas Tech Dream Kid. We accompanied some of our good friends from Texas Tech to share the news. Raider Red sure does know how to give a good surprise! Raider Red ready to surprise a few Dream Kids. Coach Scott and members of the Texas Tech Cheer and Pom Squads had their “guns up” to honor one of our Dream Kids. 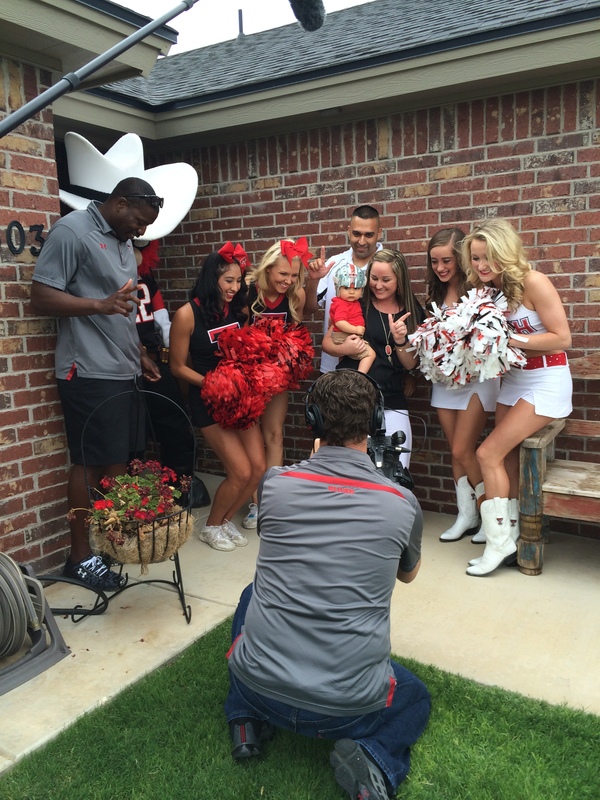 Holly Betenbough, Raider Red and Coach Scott surprise a Dream Kid and her family. 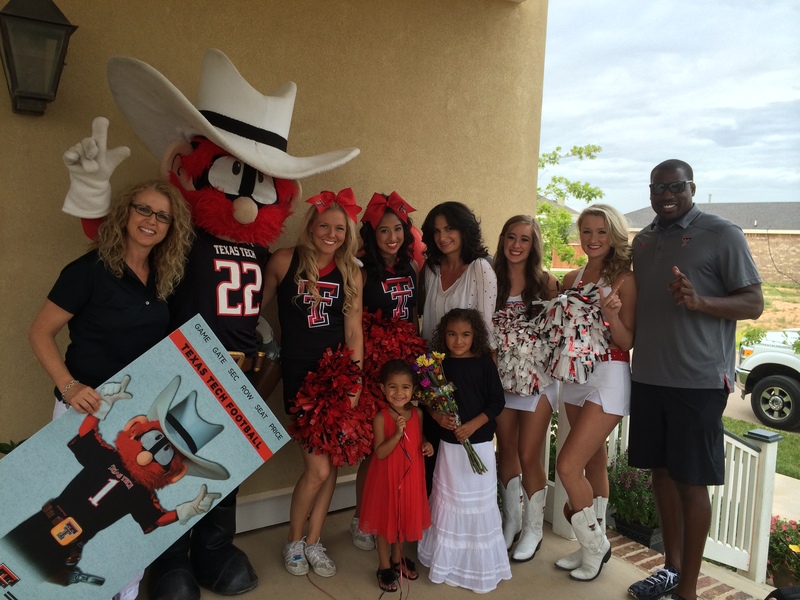 Look out for a Dream Kid at the next Texas Tech home football game and listen to their inspiring story!